Hi, I didn't reply sooner because I haven't been there for about a year, there is a good stock of fish in the lake but you need to take everything with ( tackle,bait food and drink) although I think the owner has some tackle for rent. As with most (all!) fishing parks bread seems to be the best hook bait with some ground bait ( normally a bread-based pre mix and a little water) on a cage feeder fished on the bottom. Line with a breaking strain of around 15 kg is recommended. Check out the link below for a map, GPS co-ords and the owners phone number( his name is John and he's English) The same website also has some more details of the rigs to use if you are not familiar with them. I am hoping to visit again soon so please let me know how your trip goes,good luck. There are quite a lot of fishing parks listed in and around Udon but a few seem to have closed recently, so i would recommend Luckana as I have fished there a few times and I know that there is a good mix of species to catch. If you want to fish for predators the owner will advise on rigs/ bait. will let you know how we got on,what bait for the predators and will I need a trace? I have not fished for predators but I believe the owner uses small deadbaits for the Redtail and Chao Phraya Catfish, don't think a wire trace is needed ( or allowed) for these fish. The Pacu take bread baits but they do have a habit of biting off the hooklink so maybe you could use a strong braided line but again check with the owner first. 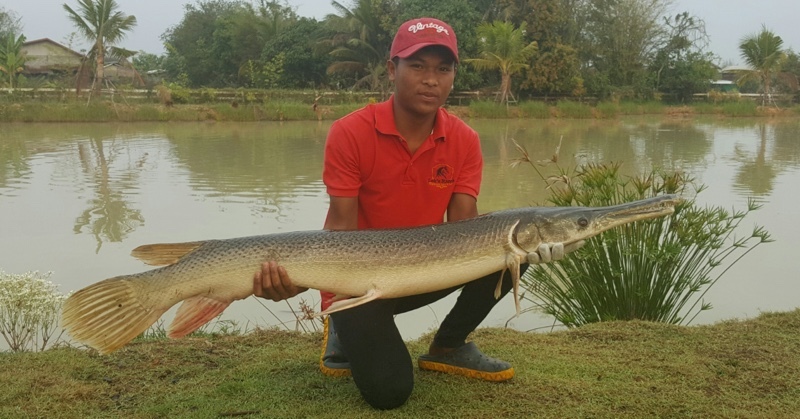 I think you are allowed to use lures for the Giant Snakehead. Just to let any anglers know that are visiting Udon Thani there is now a new fishing facility at Lek's Fishing Park Udon Thani it is not a commercial lake where you can just walk in and pay though, bookings need to be made in advance as it is a private water and you rent the lake out to yourself, it is my friend that owns it so if I am breaking any forum rules by putting the link on here please let me know and I will remove it .. tight lines everyone! There is also another fishing park in Udon Thani now. They have just oped up. 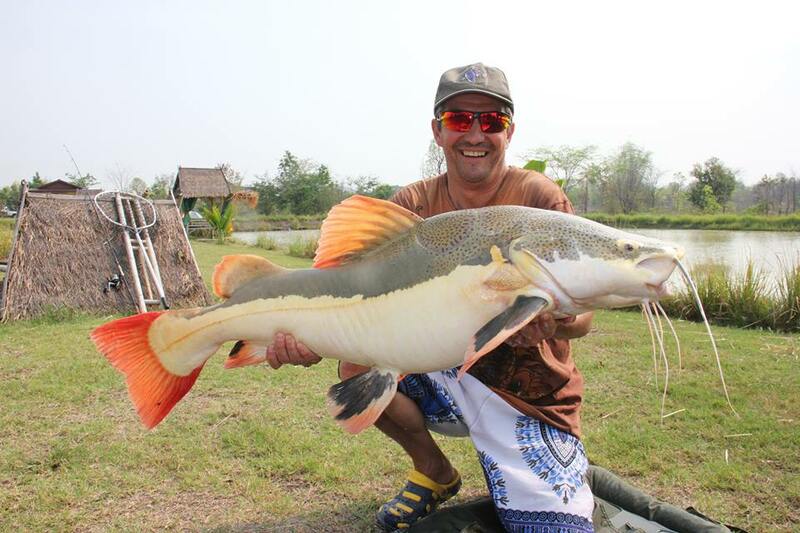 It is called Siamese carp fishing lakes Thailand. They have Siamese carp upto 100lb, I caught several between 30-80lb and an Amazon Redtail catfish at about 40lb.